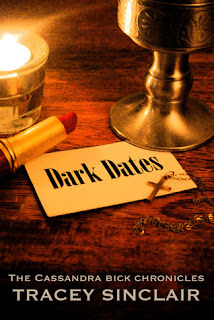 Dark Dates by Tracey Sinclair has been on my radar since back in August when Tracey appeared on my Getting To Know... feature, which you can check out here if you'd like. I'm actually surprised I hadn't picked it up before as it's something that's right up my street, so when Tracey was looking for people to review Dark Dates I waved my arms around loudly. (That makes sense I promise). This book is so much fun! There were times that I laughed full on out loud (sometimes in not the most appropriate of places... ahem). I loved all the characters and I'm already looking forward to continuing with the series. Cassandra or Cass I swear deals with everything the same way I do - sarcasm and food! She is the perfect mix of everyday woman and one who can defend herself with whatever is nearby even if it is by accident. She feels so very real to me and I really enjoyed her honesty about what (*read who) she thought was hot and how awkward she is around people on a day to day basis. Medea is a great sidekick character, she is powerful, intelligent and beautiful and there is even more to her than meets the eye. Katie who you meet later in the book, I'm still not 100% about yet, BUT she is definitely interesting and certainly surprised me. Now to my absolutely favourite character - Cain. Yes he is a completely heartless a$$hole at times, but he's hot and he's a bad boy with a soft side and who doesn't want that in their fictional boyfriend? There are also so many more interesting things I could say but I would be spoiling far too much so that will have to do. I can see why people would like Laclos as he is basically lust personified and who knows what will happen further into the series, but for now I am full on #teamcain. The story is really interesting as there is a war brewing in the vampire world and somehow Cass has got herself mixed up in it and decides to try and deal with a lot herself while the menfolk (Cain and Laclos) preen and stalk about like peacocks. They do come in more than handy when they're needed though and make up for lost time. Throughout there are some brilliant references to pop culture and I loved that I could pick some out, though I think I missed the Buffy ones as I've only ever seen the original movie but none of the TV series. Overall a really, really good and enjoyable book and as I said I can't wait to pick up the next book in the series. 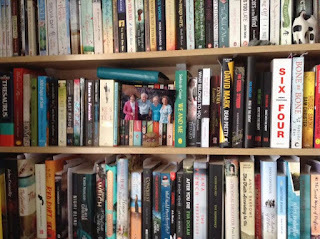 I know this has been more of a ramble than usual, but this happens when I really like a book. A treasure-trove of wit, imagination and emotion, his plays and poems continue to surprise, inspire, console and delight us. 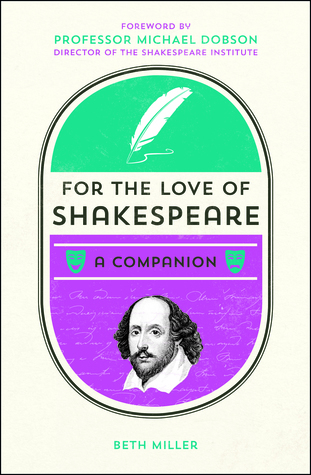 Whether you're a life-long lover of the Bard or a curious newcomer to his world, this companion will lift the curtain on the unforgettable characters and stories of Britain's greatest dramatist. My original plan for reading this book as it is a non-fiction was to read a bit then put it down and just keep diving into it every now and again. This almost immediately went out the window and I ended up reading it cover to cover in two sittings as it was so clear and easy to read and extremely enjoyable as well as being informative. I really loved how For The Love Of Shakespeare is organised, it makes it very easy for you to pick it up and find which bit you'd like to read. The first two sections are about Shakespeare himself and about Stratford Upon Avon and London in his time and then it moves onto his works which are split into The Comedies, The Histories, The Tragedies, The Apocryphal Plays and The Poetry. Each play is then broken down into plots, in a nutshell, other notable characters, body count, did you know and quotable lines. I absolutely love the in a nutshell section as it explains the plot of the play in very basic terms usually with quite a lot of wit! The quotable lines bit is very good too as I could check out the famous lines I know and quite easily find out which play they are from. I know I keep saying and "this bit is good" but I really mean it, it's all just so good! I enjoyed the other notable characters sections as it highlighted some lesser recognised characters and explained the important things that they had done within the story. 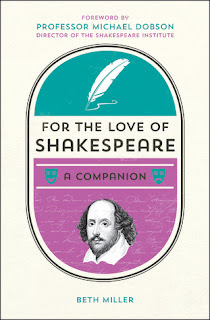 Throughout the book there are mini interviews with people who are involved one way or another in the world of Shakespeare and the seem to be located close to their favourite play which is a nice touch. It was interesting to see how each person had grown to love Shakespeare and what experiences they had had. Overall such a refreshingly light and still informative book and one I will happily keep on my bookshelves as it is also beautiful on the outside too. I have already recommended this to people I know and will continue to do so. As part of my review I thought it would be fun to answer the questions that Beth Miller asked each of the people involved in the world of Shakespeare. What was your switch-on moment? I know it may seem silly, but I think watching Baz Luhrmann's 1996 film adaptation of Romeo and Juliet. I was the perfect age for this film (teenage girl+Leonardo Dicaprio=success) and it really spoke to me at that time and it made me think more about Shakespeare as being relevant now and not just as a study in my English classes. Which is your favourite of Shakespeare's play? My favourite play is A Midsummer Night's Dream, I love the fairies and I love the comedy which is not normally my thing. Tell us about the most memorable performance you've seen? It was of A Midsummer Night's Dream at The Burnley Mechanics and we were sat in a hall and the seats were in a circle with a space in the middle for the performance. It was so unlike anything I've seen before or since as it felt a lot more interactive as we were all on the same level as the actors, it felt like we were a part of the play. Which Shakespeare character would you most like to meet? I'd love to meet Titania, she is a great and complex character. As part of my theatre studies A-level I chose her as my research subject and I designed clothes for her and planned lighting, so I'd love to meet her and see what she thought of my choices. How would you persuade somebody to give Shakespeare a chance? I'd say watch a production first before attempting to read a play. Seeing something can really help you understand how a play is to be read and will help you become more immersed in the world and the characters. If you're not a fan of the theatre then there are plenty of film adaptations that you can choose from too. I'd love to visit the RSC Theatre in Stratford Upon Avon one day and watch a play there. It took me a while to decide how best to deal with my stand out book from December as there is still over a week left and maybe my stand out book would be read during this next week, also I'm currently part way trough a couple of books so maybe my stand out book could be one of those. So what I've decided to do is to show case my stand out book from last December and that's what I'll do each year. I think this makes it as fair as I can make it. Before I get into it though I just want to say thank you to everyone who has joined me through my Twelve Days And Twelve Books Of Christmas, it has been a lot of fun for me and it has made me remember so many good books, not just the ones that I have mentioned. It's been a lot of work and the word twelve no longer means anything as I've typed it out that many times, but it's been worth it! I really hope you have all enjoyed this as much as me. Fiona Corrigan and her troupe of actors are mysteriously summoned to a remote Scottish Highlands village in the dead of winter. Fiona is all too happy to be stranded with Patrick, her brooding co-star in this strange village, until his caddish brother enters the picture and complicates everything. Set in the 1920’s, this chilling romance is entangled with twisted family secrets, murder and one, very persistent ghost. Even though I read this book almost exactly twelve months ago I can still remember the story and the characters clearly. I absolutely and utterly fell in love with this book and I have mentioned it more than once throughout the past year. 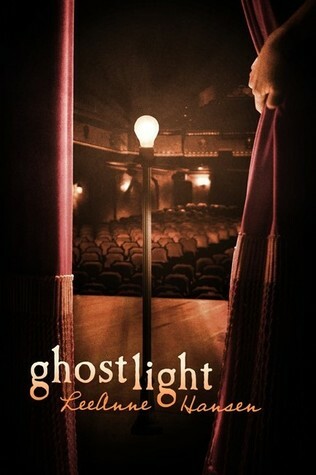 Ghost Light had me hooked from the opening which was a scene from a play as it was so well written and I wanted to find out what it was foreshadowing in the book. I continued to enjoy the scenes throughout the book and how they echoed the main story, also I got a bonus story within a story. Who wouldn't like that! I can still feel the atmosphere that LeeAnne created even now as it was just so well done and so intense. The small sleepy village in the middle of nowhere and the cold - I remember wrapping myself in my blanket while reading this I was so involved. 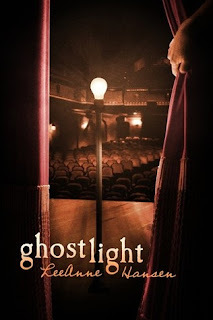 If you want to read my full quite rambling review of Ghost Light, you'll find it here. I was lucky enough to interview LeeAnne back in July so for more information about her, please check out my blog post here. 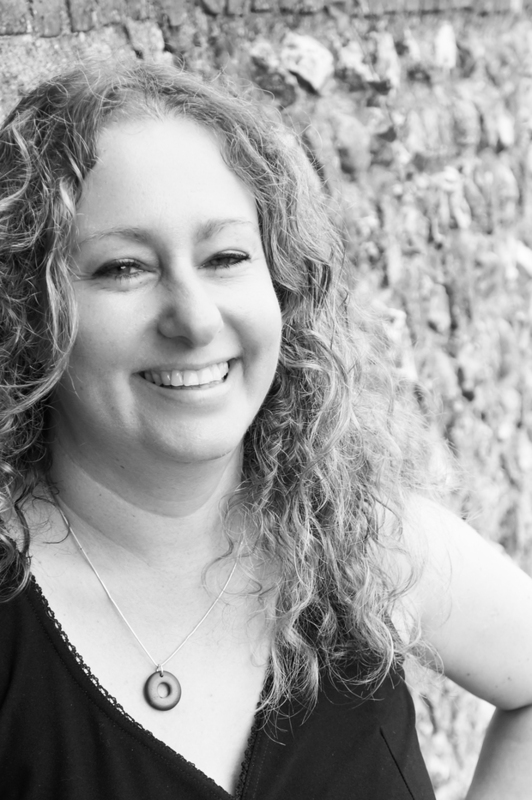 LeeAnne Hansen was born in Paris, grew up in Oklahoma and now lives in sunny southern California with her husband and cats. She enjoys writing, acting and playing bass guitar. She can be seen gracing the stage in various theatres or even directing. She is a graduate of the American Musical and Dramatic Academy in New York City and has studied art and astronomy. She also thoroughly enjoys long walks on the beach. Last two days of Twelve Days And Twelve Books Of Christmas and today I'm recommending a non-fiction! I absolutely loved this companion book. The way it is written and the format used is brilliant. I was planning on reading it a bit at a time as it is perfectly planned in such a way that you can drop in and out whenever you want or look through and find something specific, but I enjoyed it so much I read it from cover to cover. Companion books can end up being very dry as they are usually full of facts and dates but this is definitely not the case with For The Love Of Shakespeare. The way Beth writes is like she's talking to you and it feels like a really enjoyable conversation or discussion about Shakespeare rather than reading an essay. There is humour and personal experiences mixed in with the facts and it really makes it so much more readable. There are some really interesting interviews with people involved in the Shakespeare world throughout and it was good to read about how differently each person came to love the bard. I would 100% recommend this to fans of Shakespeare and to people who even have a passing interest in him. The best non fiction I have read in a long time. Are you a fan of Shakespeare? What is your favourite play? Only one day left of Twelve Days And Twelve Books Of Christmas and only one day left before Christmas, are you all ready? I have been told that I write like a tall blonde, so that's how I'd like you to picture me. I've published two novels and two non-fiction books, about The Archers and Shakespeare (that's two separate books, not one weird mash-up). (More info here). Before writing books, I did a lot of different jobs. I worked in schools, shops, offices, hospitals, students' unions, basements, from home, in my car, and up a tree. OK, not up a tree. I've been a sexual health trainer, a journalist, a psychology lecturer, a PhD student, a lousy alcohol counsellor, and an inept audio-typist. I sold pens, bread, and condoms. Not in the same shop. I taught parents how to tell if their teenagers are taking drugs (clue: they act like teenagers), and taught teenagers how to put on condoms (clue: there won't really be a cucumber). I taught rabbis how to tell if their teenagers are druggedly putting condoms on cucumbers. Throughout this, I always wrote, and always drank a lot of tea. I'm now pretty much unbeatable at drinking tea. Horror lives in the shadows. It exists under the earth’s surface in ancient caves; below the vast sea’s undulating waves; under dense forest cover; within a storm’s thick, rolling clouds; downstairs in our homes, when we hear the knife drawer rattle in the night. Even our minds and bodies harbour the alien under the skin, the childhood nightmares in our subconscious. 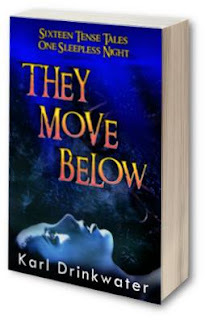 In this collection of sixteen tales Karl Drinkwater sews flesh onto the bones of our worst fears whilst revisiting some of horror’s classic settings, such as the teen party, the boat in trouble, the thing in the cellar, the haunted museum, the ghost in the machine, and the urban legends that come true. No-one is safe. Darkness hides things, no matter how much we strain our eyes. And sometimes those things are looking back at us. Oh. My. Goodness, This book! This book made it difficult for me to go to the loo in the night because I kept thinking back to Just Telling Stories! I was making notes as I read each short story and the exact notes for this particular story was "Holyyyyyy Crap!" 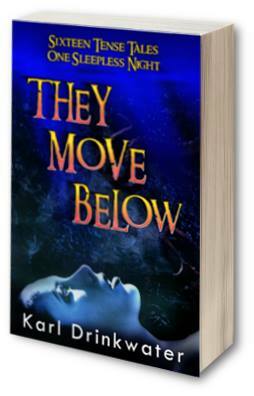 They Move Below consists of sixteen short stories that vary in types of scary and each and every one of them is excellent. I even wrote a mini review for every story which I wouldn't normally do, usually just a over view of the whole book, but I really felt these stories deserved the time. You can read the whole review here. I hadn't read any horror for a few years before picking up They Move Below and it just reminded me how much I love the genre. (The last horror book I read was by Richard Laymon). Yes I do read them by daylight so I don't get scared at night, ha! But I enjoy the rush you get as the tension builds and the action or non action happens. Another reason I loved this book is that the beginning of one of the stories, Harvest Festival, was turned into an online interactive read your own story by Karl and it's one of the most fun things I've read/played through in a long while. It is still available if anyone fancies trying it out and seeing which way you'd deal with the situation - Interactive Harvest Festival. Overall just such an enjoyable book and one I think has something for everyone. Not all fears are paranormal and In Truth Forebears this is very true and made for uncomfortable (in an enjoyable way of course) reading. Also as it's Christmas then you could always choose to read Living In The Present which has some very....interesting Father Christmas imagery! So that's my October stand out book, do you enjoy the horror genre? Do you choose to read spooky books around October and Halloween? Just two more days to go! I was lucky enough to interview Karl back in July, so for more information about him, please go out check out that blog post here. 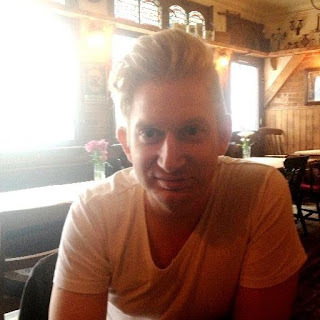 Karl Drinkwater is originally from Manchester but has lived in Wales for over fifteen years, ever since he went there to do a Master's degree: it was easier to stay than to catch a train back. 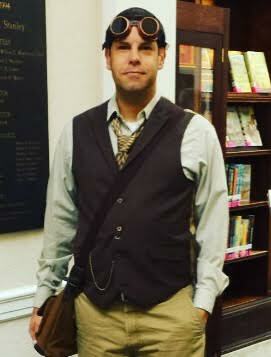 His longest career was in librarianship (25 years); his shortest was industrial welding (1 week). He started writing stories when he was 9, and hasn't stopped. 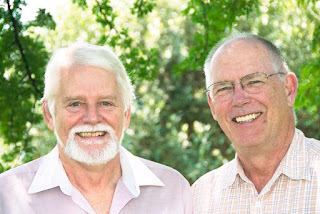 His writing sometimes spends time in the sunlit patches of literary fiction, where it likes to picnic beneath an old oak tree, accompanied by a bottle of wine, some cake, and soul-searching peace. At other times his words slope off into the dark and tense shadows of horror fiction, and if you follow them you might hear chains rattling behind locked doors and the paranoid screams of the lost echoing in the distance. There is no obligation to enjoy both of those avenues. His aim is to tell a good story, regardless of genre, but it always comes down to life, death, and connection. When he isn't writing or editing he loves exercise, computer games, board games, the natural environment, animals, social justice, and zombies; not necessarily in that order. Something a little different today, my stand out book from September was a classic and it really took my breath away! The Count of Monte Cristo is one of the great thrillers of all time. In 1853 William Thackeray wrote to a friend: 'began to read Monte Cristo at six one morning and never stopped till eleven at night.'. Falsely accused of treason, the young sailor Edmund Dantes is arrested on his wedding day and imprisoned in the island fortress of the Chateau d'If. After staging a dramatic escape, he sets out to discover the fabulous treasure of Monte Cristo and catch up with his enemies. A novel of enormous tension and excitement, Monte Cristo is also a tale of obsession and revenge. Believing himself to be an 'Angel of Providence', Dantes pursues his vengeance to the bitter end, only then realising that he himself is a victim of fate. The Count Of Monte Cristo was one of the most surprising books this year for me as I went into it expecting not to like it. Me and my buddy reader F are working our way through classics and taking turns choosing the next read. For one of my choices, I chose The Count Of Monte Cristo as I thought that it would be long and wordy and just....not very interesting. How wrong was I! I found The Count Of Monte Cristo extremely fast paced and exciting. The story was full of revenge and intrigue and is incredibly well written. The characters are all incredibly well developed, in particular Edmond Dantes, obviously. It has actually made me excited to pick up more Dumas books in the future. I also think that this book is now in the joint top spot for my favourite classic alongside Crime And Punishment. I did think it might top it, but no Crime And Punishment will not be toppled just yet anyway. If you're wary about trying classics, I would 100% recommend this as your first go. Yes it is long, but it is so action packed and interesting it is worth every moment. I will definitely be going back to re read at some point in the future. So that was my September stand out book. Have you ever read The Count Of Monte Cristo? Is it one of your favourites? Don't forget to join me tomorrow for my October book choice. 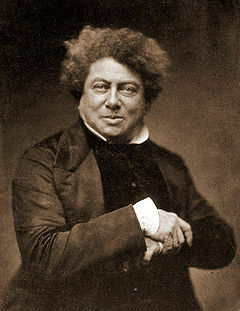 Alexandre Dumas, père (French for "father", akin to Senior in English), born Dumas Davy de la Pailleterie, was a French writer, best known for his numerous historical novels of high adventure which have made him one of the most widely read French authors in the world. Many of his novels, including The Count of Monte Cristo, The Three Musketeers, The Man in the Iron Mask, and The Vicomte de Bragelonne were serialized. 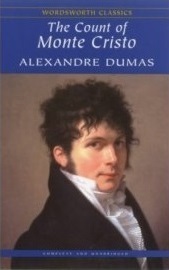 Dumas also wrote plays and magazine articles, and was a prolific correspondent. I can't believe I am on day 8 and this is all going to be over in a few days! I really hope people have been enjoying this look back of my personal stand out books from each month this year. Beetlebrow, the first book in the ‘Beetlebrow Trilogy’, is an intricately plotted, emotional and intensely engaging story about two teenage girls, Beetlebrow and Pook, thrown together in a life or death adventure taking place in a sinister, hostile and threatening world. The two will need all their resourcefulness to succeed in a daunting quest: to deliver a cryptic, vital message to the distant eastern city of Dalcratty. The growing love Beetlebrow and Pook feel for each other brings them closer together as they confront challenge after challenge, not the least of which is an encounter with the citizens of Essum, whose morality and culture is founded upon interpreting a half-finished painting. After you read Beetlebrow, your life will never be quite the same. 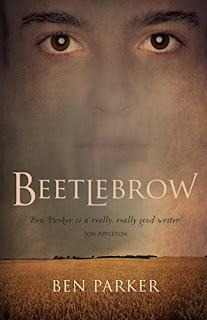 The tag line of "After you read Beetlebrow, your life will never be quite the same" is actually quite true as I still think a lot about the story and the characters and I am really looking forward to the next book in the trilogy which I am hoping will come some time soon in 2017. This book took me by surprise as I wasn't entirely sure what to expect when I first picked it up. I fell in love with the main character Beetlebrow and I felt like I was with her on her journey. I thought the world building was excellent as the lands were familiar enough to feel like you knew them but different enough for you to know they weren't real life locations. The desert in particular was particularly brutal and I could feel the heat pouring down on me. Beetlebrow also has one of the best descriptions about love that I have read and it has really stuck with me. The basic gist is that there are no words good enough to describe how good it is to be with the person you are in love with, except worded MILES more brilliantly! One last thing, I really think that a lot of important representation is included in this book and it was good to see a lot of different things from the usual YA that I read. To see my full review the link is here. I'll be back tomorrow with September's book and I still just can't believe how quickly these days are going! Are you all prepared for Christmas yet? I was lucky enough to have Ben as a guest on my Getting To Know... feature so for more information about him, please check out that blog post here. Ben Parker was born in Ealing, London in 1983. He started writing as a teenager, inspired by Jack Kerouac's 'On the Road'. His early interest in the Beats took him to Louis-Ferdinand Céline and Patrick White, whose work inspired further writing in literary novels. With an exposure to Alan Moore, Robert E. Howard, and Petronius Arbiter, his interest in adventure stories was piqued, and his work continues to tread the fine line between the excitement and emotion of thrilling, fast-paced "page-turners" and the more esoteric drives of satire and the systems of society evoked by "high-minded" literature. His first novel, 'Beetlebrow', was inspired by thoughts about past civilisations, and how a person could navigate through worlds where everything is against their success. It is in the portrayal of the filthy, bustling streets of ancient Rome, or the alleyways, "rookeries" and make-shift communities of Victorian London which continue to inspire him towards how a person might survive in such an environment. 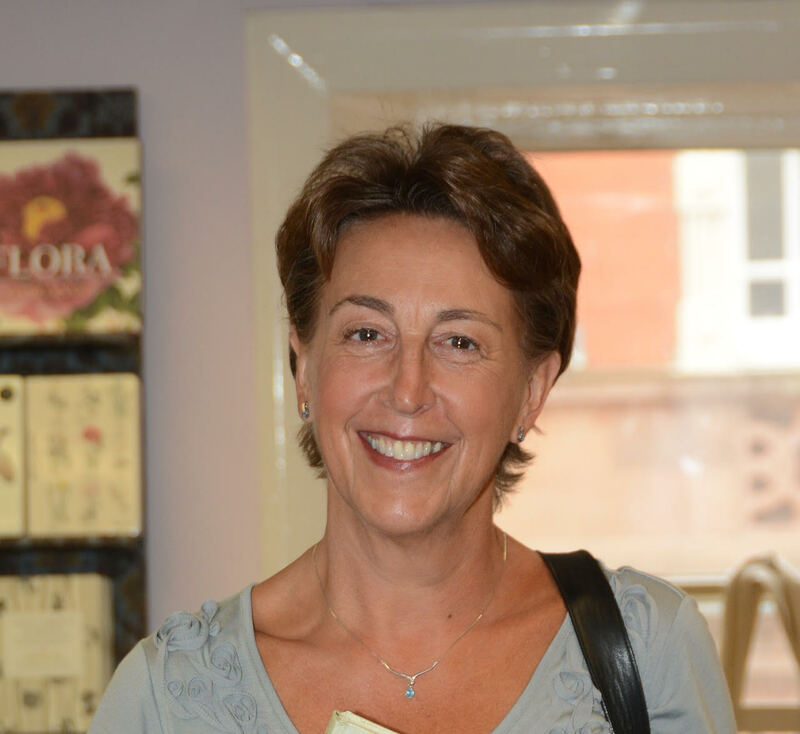 Today is my last Getting To Know... of 2016 and I am extremely delighted to be welcoming book blogger Linda Hill of Linda's Book Bag to Life Of A Nerdish Mum! You have an absolutely wonderful (and busy) blog, Linda's Book Bag, what inspired you to set this up? 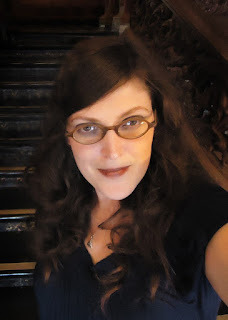 Thanks for your kind words about the blog! I set up Linda's Book Bag because I wanted to share my love of books. I'd been a reviewer on the reader panel for https://www.lovereading.co.uk/ so I was already sharing reviews there and years ago I used to review teenage fiction for Hodder to see if it would be suitable for inclusion as class readers for KS3. Both these things made me feel it would be good to have my own blog where I could write about the books I'd enjoyed. Since then, it's grown and I also have guest posts, extracts, interviews and giveaways, especially to support those independently published authors who don't have a huge budget behind them for publicity. On average how many books do you read in a year? Do you set yourself an annual goal? Normally I would read between 150 and 200 books a year, but life has been tricky of late and I have hardly had any time for reading. 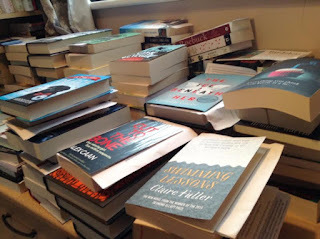 I set myself a challenge on Goodreads to read 125 books this year and at the moment I'm on 106 but I have several reviews that I haven't added there yet as they are for blog tours coming up. Do you have a favourite place to curl up and read? Ideally it would be in the sun in the garden or on a beach, but anywhere will do. I really like long haul flights as I can get into a book and just read for the duration, so I suppose you could say a plane seat is a favourite place to read too - even in cattle class! 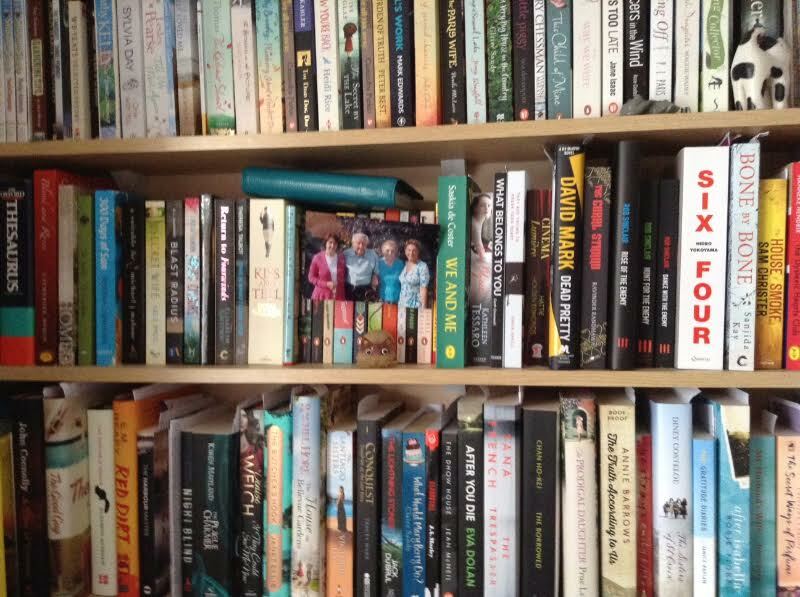 Do you have a particular way of organising your bookshelves or are books just placed where they fit? You know, I used to be the most organised person in the universe, but now I'm so overwhelmed by books that they are everywhere. I have three book cases in the sitting room and one on the landing, 300 books under the spare bed, a huge set of shelves in my study (about a third of which is represented in the photo) and then a few (cough) awaiting a place on the side in my study too. That's after taking over 2000 between my husband and me to the Sue Ryder charity bookshop in Spalding over the last three years as we were supposed to be clearing out! When you're not reading what would we find you doing? First and foremost I'll be drinking tea. I'm addicted to it. After that I'll be outside. I love to garden and have an allotment. I spent 30 years moaning that our garden is too small so my husband organised an allotment for my birthday to shut me up and I'll often be seen there amongst my leeks and beetroot. We go for lots of walks and love to travel too. We've been all over the world from Antarctica to Zambia and have booked Lapland for our next trip followed by Uganda, where we will be trekking in the hope of seeing gorillas in the wild as wildlife is a huge passion too. You were an English teacher, is that where your love of reading came from, or have you always been a big reader? No, definitely not. I was a late reader. My sight is really poor and as I have an older sister who used to read with me, as my parents were so poor they were always working, no-one realised and it wasn't until I got glasses at the age of 8 that I really began to read. It was a miracle that those smudges had a shape and were letters that formed magical words. After that there was no stopping me and I read as much as I could as often as I could. When you were a teacher, did you have a favourite book to teach as part of the curriculum? Gosh, that's a tricky question. I always enjoyed teaching Macbeth as it's so dramatic and accessible. I loved reading Of Mice and Men with my students, although every time I taught it I still cried at the end and I think some of them thought I was mad. However, not a book, but a poem sticks in my mind most - Dulce et Decorum Est by Wilfred Owen. I had a top set of absolutely wonderful 15 and 16 year olds. We had been studying the war poets and it just happened that I was teaching them over the two minutes' silence at 11AM on one 11th November. I'd shown them the final episode of Blackadder Goes Forth (the episode when they go over the top and are slaughtered) and then we read and discussed the poem. We finished, by chance, exactly as the bell rang for the silence and at the end all of us were in tears. It was so moving I've never forgotten it. Bookmark, random bit of paper or dog ear? I nearly passed out when I saw 'dog ear - NO! NEVER! Though I have to admit, I have scores of wonderful bookmarks but more often than not it's whatever I have to hand - nail file, pen, specs, post-it, passport. Every time I read a book that touches my soul the writer becomes a favourite author. And since I began blogging there have been so many that it's impossible to say. From the classics it has to be Thomas Hardy. Will we see a book by you in the future? If yes, what genre can we look forward to? I have actually got my name on around 18 books as author and editor but they are all non-fiction resource books for teachers and students so I don't feel they count! I began NaNoWriMo in 2015 and have completed 26,000 words of a novel which could loosely be called women's fiction. I didn't finish it then as my husband was diagnosed with cancer on 6th November and that took all my time and attention. Since then 2016 has been so fraught waiting for my husband to get the all clear in February and again in September after more surgery and then the near death of my Dad from sepsis and the actual death at full term birth of our great niece Emma that, I didn't have the emotional energy for writing. I was going to complete it this November in NaNoWriMo, but when November arrived I'd spent 3-6 hours a day for the previous three and a half months visiting my Dad in hospital after he had a terrible stroke in July and supporting my Mum. Dad died on 9th November and the funeral was 25th with all the arrangements that causes so perhaps I'll do my own DeWriMo instead! Thank you so much to Linda for taking the time to join me and answer my questions and for sharing with me so much. Carla’s on the cusp of adulthood. As her final weeks in the family home draw to a close she struggles to keep a grip on her true self. With her boyfriend hundreds of miles away, Carla battles with loneliness, finding comfort in unexpected places and experiencing moments of perfection that can never be replicated. Isla was young, brave and creative. She is remembered as a golden girl and their beloved daughter, but no one can be perfect. June and Max are exploring the gorgeous countryside of Granada. However, where there’s perfection, there’s horror. Helen’s new husband Steven brings his dog Wilf into the family home. When Helen’s eight year old daughter Maisie finds herself in hospital, suffering from a vicious dog attack, Steven has a lot to answer for. Moral and ethical questions arise when Helen is determined to have Wilf put down in spite of Steven’s desire to keep is beloved pet alive. Walking home at night, university student Heidi is accompanied by a stranger named Bryony. Both of them have secrets which will destroy the other. I had read very few (if any) short story collections before reading A Single Drop Of Perfect as honestly they'd never really appealed to me. When I had the chance to read A Single Drop Of Perfect I read the synopsis and it really caught my interest and I knew I wanted to read it. I'm so very glad I did. 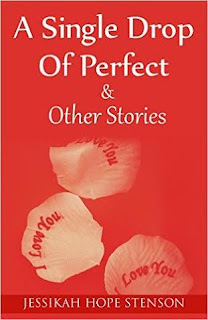 as I stated in my review (here), "A Single Drop Of Perfect is a collection of five short stories and I think each one is definitely its own drop of perfect." I really think that each story is as strong as it's predecessor and I really related to a lot of the characters. The two stand out stories for me at the time, Wounds and What Isla Did, are still my two stand out stories now. Though I remember all of the stories very clearly considering how many months ago (and how many books I have read since) that I read them. Both of the stories involve children, so it may be that I'm a mum that they took hold of me more than the others. Even though this was Jessikah's debut book, you genuinely can't tell with the quality and maturity of the writing. I said at the time I was looking forward to what came next from Jessikah and I have since enjoyed her debut thriller which I absolutely loved! (My review for Trace This Scar is here). This book encouraged me to start reading short stories and short story collections meaning I have discovered some new authors and have really enjoyed reading some shorter, quicker reads. It feel very satisfying to read something so interesting but finish it so quickly. Tomorrow I'll be back with day 8 and my stand out book from August. Do you enjoy short stories? Have you got a favourite collection that you'd recommend? 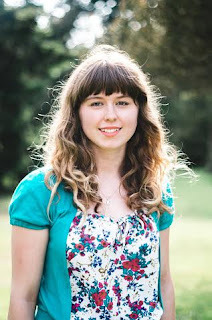 Jessikah Hope Stenson is a 20 year old author, book blogger and journalist. She currently studies English at the University of Exeter where she is also the Editor-In-Chief of PearShaped Music Magazine. In her spare time, she enjoys slam poetry, listening to Paramore and curling up with a good book. Half way through and I have my stand out book from June which I was actually lucky enough to be part of the blog tour for, my post is here. This was my second Michael Stanley book, my first being A Death In The Family which I read and reviewed all the way back in 2015 (my review for that is here). I've mentioned in both my reviews previously but as it's one of the reasons I think this book stands out to me, I'm going to mention it again. The fact that these books are written by more than one person is just amazing. I've read books before that are co-authored and you can tell which section or chapter is written by each author, but it is just not that way with the Detective Kubu books. 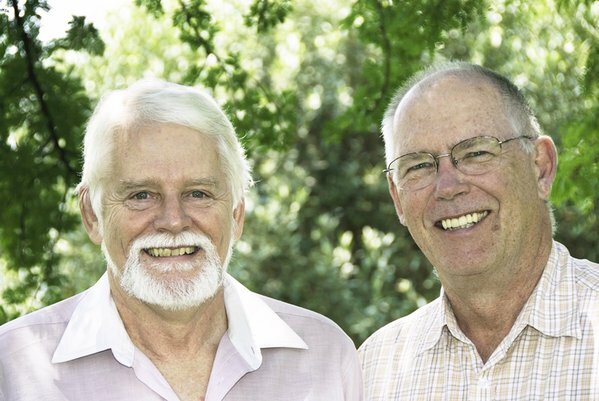 The writing is all smooth and cohesive so when I first discovered it was a two man team I was really shocked. Another reason this book stands out is the characters. I adore Detective Kubu, he is just such a wonderfully well rounded character. I love the fact that he's such a family man and is in a happy marriage, adores his kids and he is really close with his parents; It's such a nice touch when books are dealing with crime and darkness to have one shining light of joy to keep the balance. 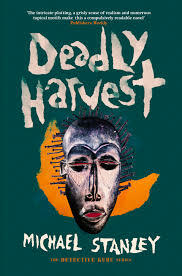 I really feel that I have learnt a lot from reading Deadly Harvest in particular about Botswana. The books have introduced me to Setswana, one of the languages spoken in Botswana as well as different traditions and cultures, all interspersed with police work and family life. The subject of Deadly Harvest also introduced the darker side of the culture and I ended up doing a lot of my own research following reading it which is good as I love books that make me want to expand my knowledge and really know about the subject they have brought up. Overall though I am specifically saying that Deadly Harvest was my stand out book in June, I would definitely recommend the Detective Kubu series as a whole. Welcome back to Twelve Days And Twelve Books Of Christmas and I'm onto my stand out book from May, almost half way through already! Even the splendour of Victorian Age London was not without its faults. In its heart is one of the darkest places in human history, Bedlam Asylum. The whispered rumours of brutality, fear, and hopelessness turn out to be only the beginning of its cruelty. One man is trying to protect his family by uncovering the worst of Bedlam's hidden secrets. One woman is following in her late husband's footsteps to try and help those that can't help themselves. They will both find that looking for evil does not necessarily make one prepared to find it. 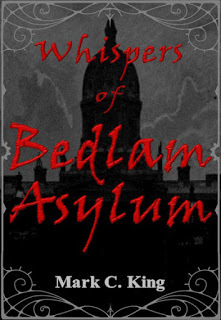 Whispers Of Bedlam Asylum is Mark's second novel and the second book following main character Sigmund Shaw. (You can read this as a stand alone if you so chose though). Sigmund is one of my favourite characters from this year and I adore his dedication to his family and his honour. In fact all of the characters in Whispers are absolutely brilliant. There are two really amazing, bright, strong and independent women in Charlotte an Sarah. And there are two excellent male side kick characters in Chief-Inspector Holmes and Basil an inmate in Bedlam Asylum. I mention it in my full review here, but I have to mention again that it's rare when an author gets the perfect balance of world building and character development, but I think it's done in Whispers. I could perfectly picture the Victorian London that the author wanted me to and scenes in the asylum were intense, I also want to meet the people I am reading about. Whispers Of Bedlam Asylum will stay with me for a long time and I will continue to love Mark's work. I currently have The Tomb Of Hannu waiting to be read which I need to get to ASAP! I'd never have thought I'd be recommending a historical fiction, action adventure with some steampunk elements book, but here I am doing it because this book is just THAT good. Tomorrow well be onto day 6 already and I will have my stand out book from June, so please come back to see what I recommend. I was actually lucky enough to interview Mark back in June, so for more information, please check that out here. Mark King is an easy-going writer with a talent for finding enjoyment in most any situation. 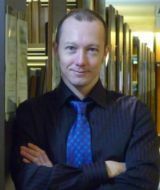 He’s a lifelong reader whose literary interests include science fiction, adventure, thriller, and mysteries, to name a few. When not working or writing, he can be found watching movies, kayaking, associating with friends, and of course reading. I can't believe how quick these days are going, only 9 days left till Christmas! So today is day 4 of my Twelve Days And Twelve Books Of Christmas feature and my stand out book from April is a trade paper back. 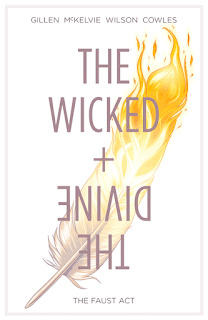 I was sent the first volume of The Wicked + The Divine as part of a banned books swap that I took part in and though I'd heard loads of hype about it, I had no real idea what it was about as it just had never really appealed to me. I'm a typical super hero comics/trades/graphic novels reader so this was out of my comfort zone and I put it off for quite a while before finally reading it. From the witty title to the conversations between characters, the writing is absolutely top class. Everything seemed to work smoothly and the pacing was spot on for me. I loved the premise of Gods coming to Earth to become the most famous people in pop culture every 90 years. I loved the characters, especially Luci! Luci is snarky and interesting and dresses immaculately. When talking about this book, I have to mention just how stunning the art is throughout. I thought the people were all incredibly stunning and the colour palette really worked. So a huge shout out to Jamie McKelvie, Matt Wilson and Clayton Cowles. In comics the art is JUST as important as the dialogue and the balance has been struck perfectly in this volume. I was so pleasantly surprised about how much I enjoyed this book, it most definitely took me by surprise. I've been a lot more confident stepping out my comfort zone since reading The Wicked + The Divine so it has affected my reading in a positive way. 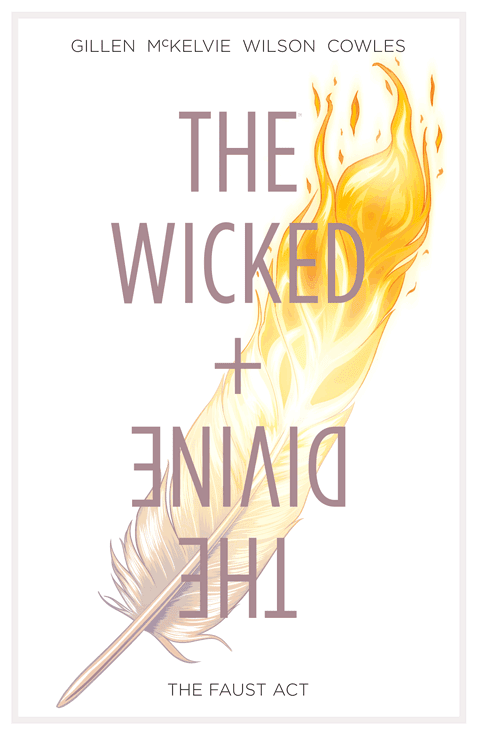 So that's my April stand out book, have you ever read The Wicked + The Divine? What did you think? Are you a fan of comics/graphic novels/trades and if so do you have any recommendations for me? 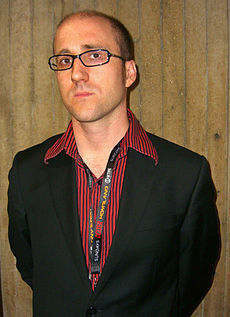 Kieron Gillen is a comic book writer and former media journalist.